Get some cultural insight at Hagia Sophia Museum / Church (Ayasofya) and Basilica Cistern. Sultan Ahmed Mosque and Galata Tower will appeal to history buffs. 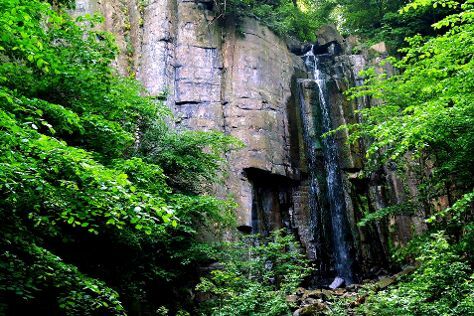 You'll find plenty of places to visit near Istanbul: Delmece Yaylasi (in Cinarcik), Faruk YalcIn Hayvanat Bahcesi ve Botanik ParkI (in Tuzla District) and Yalova (Erikli Waterfall & Termal Cinarl Hiyaben Yolu). Next up on the itinerary: take an in-depth tour of Topkapi Palace, admire the striking features of Suleymaniye Cami , explore the world behind art at Kariye Museum (The Chora Church), and pause for some serene contemplation at The Ecumenical Patriarchate. For maps, traveler tips, other places to visit, and tourist information, refer to the Istanbul trip tool . Melbourne, Australia to Istanbul is an approximately 23-hour flight. The time zone difference when traveling from Melbourne to Istanbul is minus 7 hours. Traveling from Melbourne in March, expect nights in Istanbul to be about the same, around 14°C, while days are much colder, around 14°C. Wrap up your sightseeing on the 26th (Thu) to allow time to travel to Budapest. Get some cultural insight at Fisherman's Bastion and University Church. Visit St. Stephen's Basilica (Szent Istvan Bazilika) and Hungarian Jewish Museum and Archives for their historical value. Get out of town with these interesting Budapest side-trips: Nemzeti Botanikus Kert (in Vacratot), Ilona waterfall (in Paradfurdo) and Ipolytarnoc Fossils Nature Reserve (in Ipolytarnoc). Next up on the itinerary: appreciate the history behind Hősök tere, head off the coast to Margaret Island, snap pictures at Liberty Bridge (Szabadsag hid), and test the waters at a local thermal spa. To find traveler tips, photos, more things to do, and other tourist information, use the Budapest trip itinerary site . You can fly from Istanbul to Budapest in 6 hours. Alternatively, you can do a combination of shuttle and flight; or drive. Traveling from Istanbul to Budapest, you'll gain 2 hours due to the time zone difference. Traveling from Istanbul in March, plan for cooler nights in Budapest, with lows around 1°C. Wrap up your sightseeing on the 30th (Mon) early enough to travel to Alghero. Nuraghe Losa and Chiesa di Santa Giusta are good opportunities to explore the local culture. Discover out-of-the-way places like Cantina Ligios and Parrocchia del Sacro Cuore e San Marco. Get out of town with these interesting Alghero side-trips: Distillerie Lussurgesi (in Santu Lussurgiu), Porto Alabe Beach (in Tresnuraghes) and Tinnura (in Nuoro). Next up on the itinerary: make a trip to Affacci a mare: Bastioni e Lungomare, take in the architecture and atmosphere at Cattedrale di San Nicola, learn about winemaking at Azienda Agricola Leda' d'Ittiri, and take in the spiritual surroundings of Chiesa di San Giovanni in Sinis. To find maps, other places to visit, where to stay, and more tourist information, you can read our Alghero online trip itinerary planner . Traveling by flight from Budapest to Alghero takes 5.5 hours. Alternatively, you can do a combination of car and ferry; or do a combination of bus and ferry. Plan for a bit warmer temperatures traveling from Budapest in March, with highs in Alghero at 19°C and lows at 7°C. Finish your sightseeing early on the 5th (Sun) to allow enough time to travel to Rome. Get some cultural insight at St. Peter's Basilica and Vatican Museums. Get some historical perspective at Colosseum and Palatine Hill. Get out of town with these interesting Rome side-trips: Cascata delle Marmore (in Marmore), Ostia Antica (Parco Archeologico di Ostia Antica & Castello di Giulio II) and Orvieto (Duomo di Orvieto & Pozzo di San Patrizio). Next up on the itinerary: admire the landmark architecture of Pantheon, take in the architecture and atmosphere at Church of St. Louis of the French, explore the different monuments and memorials at Catacombe di San Callisto, and get to know the fascinating history of Vatican City. To find ratings, traveler tips, photos, and tourist information, read Rome trip builder app . Getting from Alghero to Rome by flight takes about 4 hours. Other options: do a combination of car and ferry; or do a combination of bus, ferry, and train. Expect a daytime high around 24°C in April, and nighttime lows around 11°C. Cap off your sightseeing on the 11th (Sat) early enough to catch the train to Florence. Discover out-of-the-way places like Leaning Tower of Pisa and Borgo di Lucignano d’Arbia. 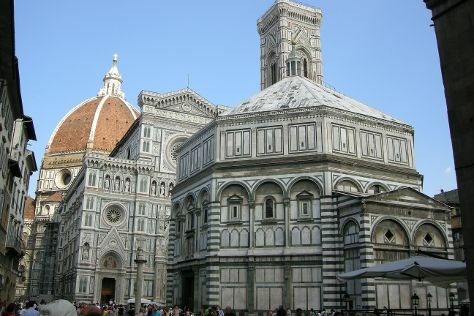 Visit Cathedral of Santa Maria del Fiore and The Baptistery of St. John for their historical value. You'll find plenty of places to visit near Florence: Historic Centre of San Gimignano (in San Gimignano), Pisa (Battistero, Camposanto, & more) and Abbazia di San Galgano (in Chiusdino). Dedicate the 12th (Sun) to wine at some of the top wineries in the area. There's much more to do: explore the world behind art at Uffizi Galleries, get to know the fascinating history of Centro Storico, steep yourself in history at Basilica San Miniato al Monte, and examine the collection at Academy Of Florence Art Gallery. To find where to stay, traveler tips, other places to visit, and other tourist information, refer to the Florence trip planner . You can take a train from Rome to Florence in 2 hours. Other options are to drive; or fly. In April, daytime highs in Florence are 22°C, while nighttime lows are 11°C. Wrap up your sightseeing on the 16th (Thu) early enough to take a train to Venice. Explore hidden gems such as Basilica Santa Maria Gloriosa dei Frari and Cannaregio. Deepen your sense of the past at sights like Doge's Palace and Peggy Guggenheim Collection. There's still lots to do: appreciate the extensive heritage of St. Mark's Square, pause for some serene contemplation at Santa Maria dei Miracoli, contemplate the waterfront views at Canal Grande, and steep yourself in history at Centro Storico di Venezia. 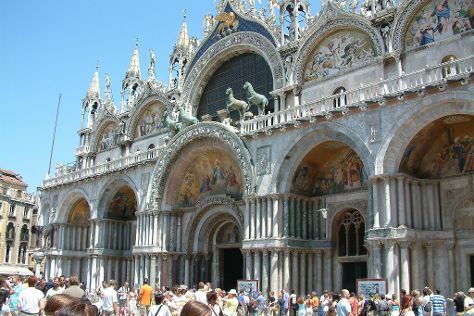 To see more things to do, traveler tips, where to stay, and more tourist information, read Venice visit planner. Traveling by train from Florence to Venice takes 2.5 hours. Alternatively, you can drive; or take a bus. In April, daily temperatures in Venice can reach 21°C, while at night they dip to 11°C. Finish up your sightseeing early on the 20th (Mon) so you can travel to Prague. Your inner history buff will appreciate Prague Castle and Prague Astronomical Clock. Explore hidden gems such as Vanov Waterfalls and Czech Paradise. Step out of Prague with an excursion to Cyklostezka Varhany in Ceska Lipa--about 1h 25 min away. 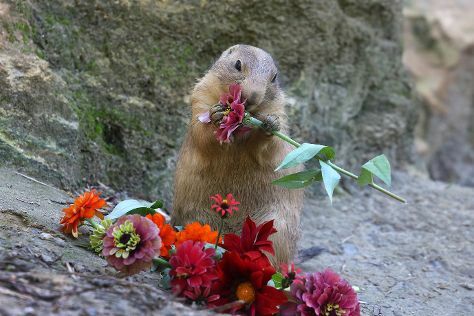 Spend the 21st (Tue) exploring nature at Sumava National Park. Next up on the itinerary: make a trip to Old Town Square, take in the spiritual surroundings of Spanish Synagogue, and admire the landmark architecture of St. Vitus Cathedral. To see photos, traveler tips, reviews, and more tourist information, use the Prague road trip planning app . Fly from Venice to Prague in 4.5 hours. Alternatively, you can do a combination of train and flight; or drive. Expect little chillier temperatures when traveling from Venice in April; daily highs in Prague reach 17°C and lows reach 5°C. Wrap up your sightseeing on the 24th (Fri) to allow time to travel to Amsterdam. Get a sense of the local culture at Anne Frank House and Van Gogh Museum. Get in touch with nature at ARTIS and duinreservaat Meijendel-Kievietsduin. There's lots more to do: explore the world behind art at Rijksmuseum, get to know the fascinating history of Begijnhof, and take a stroll through The Jordaan. To see reviews, where to stay, photos, and tourist information, read our Amsterdam sightseeing app . You can fly from Prague to Amsterdam in 4.5 hours. Other options are to do a combination of flight and train; or drive. April in Amsterdam sees daily highs of 15°C and lows of 5°C at night. Finish your sightseeing early on the 27th (Mon) to allow enough time to take a train to Paris. Satisfy your inner culture vulture at Palace of Versailles and Louvre Museum. Get outdoors at Île de la Cité and Ile Saint-Louis. Explore the numerous day-trip ideas around Paris: Chartres Cathedral (in Chartres), Chateau de Fontainebleau (in Fontainebleau) and La Hotte du Diable (in Coincy). Next up on the itinerary: explore and take pictures at Eiffel Tower, examine the collection at Appartement-Atelier de Le Corbusier, admire the striking features of Cathédrale Notre-Dame de Paris, and take a stroll through Montmartre. To see maps, ratings, other places to visit, and more tourist information, refer to the Paris trip planner . Take a train from Amsterdam to Paris in 3.5 hours. Alternatively, you can fly; or drive. 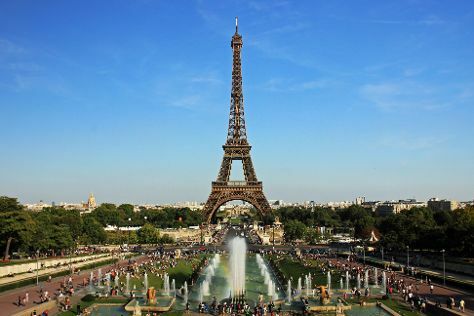 In April, daytime highs in Paris are 18°C, while nighttime lows are 6°C. Finish up your sightseeing early on the 3rd (Sun) so you can travel to Barcelona. Discover out-of-the-way places like Bufadors de Bevi and Mirador del area recreativa de Xenacs. Visiting La Via del Nicolau and Les Roques Encantades will get you outdoors. 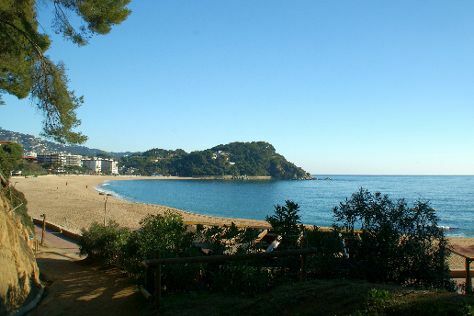 Explore Barcelona's surroundings by going to Fenals Beach (in Lloret de Mar), La Fageda d'en Jorda (in Olot) and Font de l’Adou (in Baga). The adventure continues: tour the pleasant surroundings at Via Ferrata Cala del Moli and explore the striking landscape at Camino de Ronda. For more things to do, other places to visit, traveler tips, and tourist information, go to the Barcelona trip itinerary maker tool . Traveling by flight from Paris to Barcelona takes 5 hours. Alternatively, you can do a combination of flight and train; or drive. Traveling from Paris in May, expect Barcelona to be somewhat warmer, temps between 25°C and 16°C. Finish your sightseeing early on the 7th (Thu) to allow enough time to travel to Lisbon. Discover out-of-the-way places like Park and National Palace of Pena and Convent of Christ. Popular historic sites such as Belém Tower and Jeronimos Monastery are in your itinerary. Venture out of the city with trips to Farol da Guia (in Cascais), Cabo da Roca (in Colares) and Evora (Capela dos Ossos, Igreja de Sao Francisco, & more). And it doesn't end there: steep yourself in history at Castelo de S. Jorge, contemplate in the serene atmosphere at Batalha Monastery, let your taste buds guide you at a local gastronomic tour, and step into the grandiose world of Castelo dos Mouros. For where to stay, maps, ratings, and tourist information, you can read our Lisbon tour planner. Fly from Barcelona to Lisbon in 5 hours. Alternatively, you can drive; or do a combination of train and bus. The time zone difference moving from Central European Time to Western European Time is minus 1 hour. In May, daily temperatures in Lisbon can reach 28°C, while at night they dip to 15°C. Wrap up your sightseeing on the 12th (Tue) to allow time to travel to Reykjavik. Start off your visit on the 13th (Wed): explore the wealth of natural beauty at Thingvellir National Park, then appreciate the extensive heritage of Reykjavik Open Air Museum, then stroll through Yntri Tunga Beach, and finally take in the architecture and atmosphere at Hallgrimskirkja. On the 14th (Thu), you'll have a packed day of sightseeing: test the waters at a local thermal spa. For other places to visit, traveler tips, where to stay, and other tourist information, you can read our Reykjavik itinerary maker . Traveling by flight from Lisbon to Reykjavik takes 10.5 hours. Traveling from Lisbon in May, you will find days in Reykjavik are cooler (11°C), and nights are slightly colder (4°C). Finish your sightseeing early on the 14th (Thu) so you can travel to St. Petersburg. Deepen your sense of the past at sights like Saint Isaac's Cathedral and Palace Square (Dvortsovaya Ploshchad). Get some cultural insight at The State Hermitage Museum and Russian Museum. Step out of St. Petersburg to go to Kuzmolovsky and see WindTunnel FlyStation, which is approximately 32 minutes away. There's lots more to do: take in the architecture and atmosphere at Church of the Savior on Spilled Blood, wander the streets of Nevsky Prospekt, examine the collection at Russian Museum of Ethnography, and steep yourself in history at The General Staff Building. For ratings, reviews, where to stay, and tourist information, read our St. Petersburg road trip website . You can fly from Reykjavik to St. Petersburg in 10.5 hours. Other options are to do a combination of flight and train; or do a combination of car and ferry. Due to the time zone difference, you'll lose 3 hours traveling from Reykjavik to St. Petersburg. Expect a bit warmer temperatures when traveling from Reykjavik in May; daily highs in St. Petersburg reach 19°C and lows reach 8°C. Finish up your sightseeing early on the 18th (Mon) so you can travel back home.